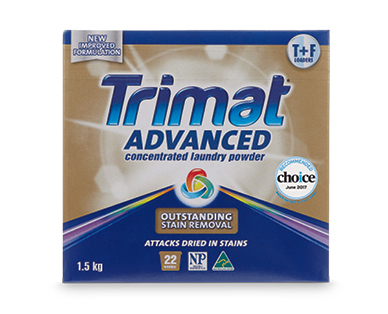 A Powerful enzyme system which attacks even the most stubborn dried in stains such as dirt & grass, pasta sauce, blood, coffee, make-up and perspiration. In addition now also targeting baby food and fruit based stains. Suitable for use in Front loader, Top loader and High Efficiency Top loader machines.